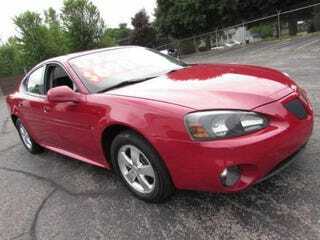 It’s a ‘07 Grand Prix, 116k miles, for $6900. That price is actually reasonable compared to others in the area. Of course, that depends on the test drive. I went to a dealer today, and while waiting for the saleslady I checked their site and saw this guy, on another lot. I’m going on a test drive tomorrow when they bring it to the closer lot.